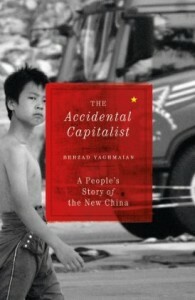 In the last three decades China has experienced the largest population movement in human history. Millions have left behind homes to find work and new opportunities in the emerging mega-cities. Through months of sustained interpersonal contact with migrant workers and factory owners Behzad Yaghmaian paints a unique portrait of a country experiencing the turmoil of rapid development. His close listening has produced an intimate look at the hopes, hardships, triumphs and tragedies of those behind the Chinese ‘economic dragon’.